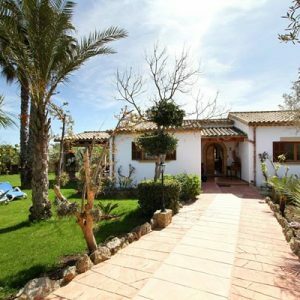 Finca Tomas location is idyllic, nestled at the base of a dramatic, rocky outcrop of the Tramuntana mountains and is surrounded by countryside. Built in classical Mallorcan style, this four star villa is set in an ancient olive grove and boasts impressive mountain views. 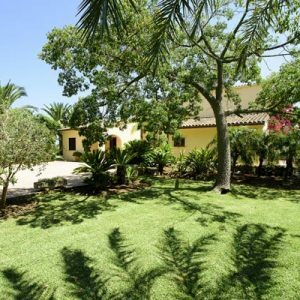 To the front of this beautiful country Finca and flanked by a lawned area we find the sparkling swimming pool with roman steps. The mares sun terrace is furnished with relaxing sun beds. The gardens and adjoining lands are mainly all to the front of the house and include the original horse drawn water well, now an interesting feature of bygone times. An ideal choice for a relaxing family holiday.